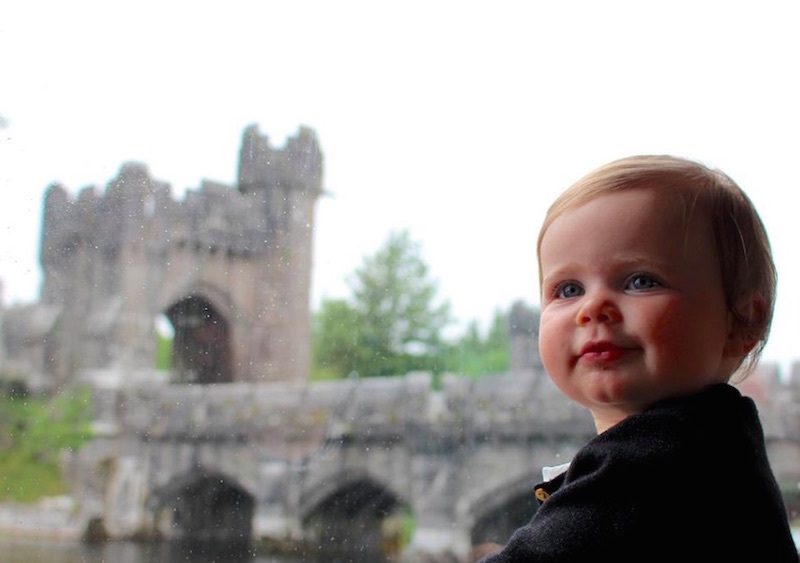 This one year-old baby has already traveled to 31 countries and four continents with her globetrotting parents! For many new parents, planning a trip to the grocery store with an infant requires some planning around baby's schedule as well as steeling our nerves from possible disasters (including diaper blowouts and colic-fests). So we were impressed to learn of Chris and Erica Levine Weber's amazing travels with their now one year-old daughter Rae. 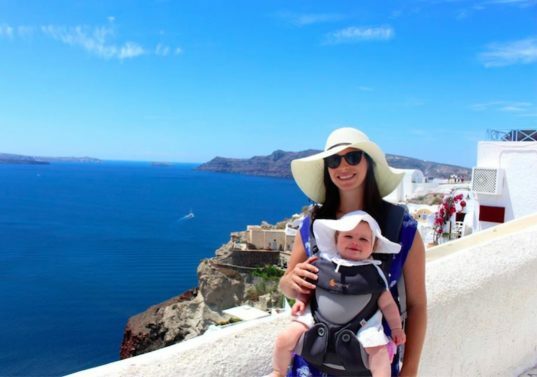 This adventurous family, who chronicle their adventures on The Worldwide Webers, has logged more than 30 countries, 50 cities, and 60 flights across four continents since the birth of their daughter! Read on to learn more about this lucky baby's epic adventures. The couple, who lived in New York City and Singapore before having Rae during a sojourn in Johannesburg, now reside in Geneva, Switzerland, where they have easy weekend access to tons of travel locations. With a flexible attitude (both baby and parents) and an innate sense of adventure, the Webers have taken Rae to far-flung locales including Morocco, Greece, Jordan, Sweden, Croatia, and Portugal. The Webers offer humorous and useful tips for toiletries to bring when traveling with babies and they dispel common myths about traveling with little ones — while sharing pointers for all of us (including Safari Planning 101). We love how Chris and Erica make parenting while exploring the globe look easy, but still keep it real: Erica posts pictures of Rae nursing in various spots throughout their journeys, and the family combines kid-friendly outings (such as aquariums, playgrounds, and gardens) with more adult pursuits like museum-going. From experiencing her first bite of pizza in Naples, to seeing tourist hotspots from her baby carrier perch, to absorbing some of the world’s greatest works of art alongside her parents, baby Rae has had an incredible first year of life… and is encouraging us to break out of our own traveling-with-kids comfort zone. Of course, now that Rae is moving into toddlerhood, her parents can expect a whole bunch of new challenges in their travel routine, but somehow we know this resourceful, brave, and travel-loving family will rise to the occasion. Check out the Weber family’s global adventures on their Instagram page. The Webers offer humorous and useful tips for toiletries to bring when traveling with babies and they dispel common myths about traveling with little ones -- while sharing pointers for all of us (including Safari Planning 101). We love how Chris and Erica make parenting while exploring the globe look easy, but still keep it real: Erica posts pictures of Rae nursing in various spots throughout their journeys, and the family combines kid-friendly outings (such as aquariums, playgrounds, and gardens) with more adult pursuits like museum-going. From experiencing her first bite of pizza in Naples, to seeing tourist hotspots from her baby carrier perch, to absorbing some of the world's greatest works of art alongside her parents, baby Rae has had an incredible first year of life... and is encouraging us to break out of our own traveling-with-kids comfort zone. Of course, now that Rae is moving into toddlerhood, her parents can expect a whole bunch of new challenges in their travel routine, but somehow we know this resourceful, brave, and travel-loving family will rise to the occasion. Check out the Weber family's global adventures on their Instagram page.